We are deeply grateful for all who have shared our vision and given of themselves to make our work possible. 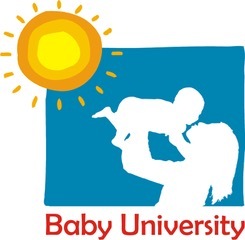 Baby University is seeking an intern to perform a variety of duties. Outcomes from the Baby U Fall 2017 Session. September 2017 - We are excited to announce the expansion of our Preschool program from 1 classroom to 4 classrooms!!! There are now more options than ever before for South Toledo families!!! Toledo Day Nursery is one of the nations oldest and best Preschool Providers. We are also partnering with Toledo Public Schools to bring two Head Start classrooms to South Toledo! We met our goal for 2016. Thank you for your support. According to the Toledo Public School system, children growing up in Toledo's Old South End are starting Kindergarten 75% behind their middle class peers. The Zero to Three Foundation states that early education or high-quality preschool have helped close this gap, which leads to an increase in high school graduation rates, a decrease in special education rates, a decrease in incarceration rates, and an increase in employment rates, later in life.